Log into your GoDaddy account, go to the Edit website section and choose Add Section on the page where you want to publish the form. 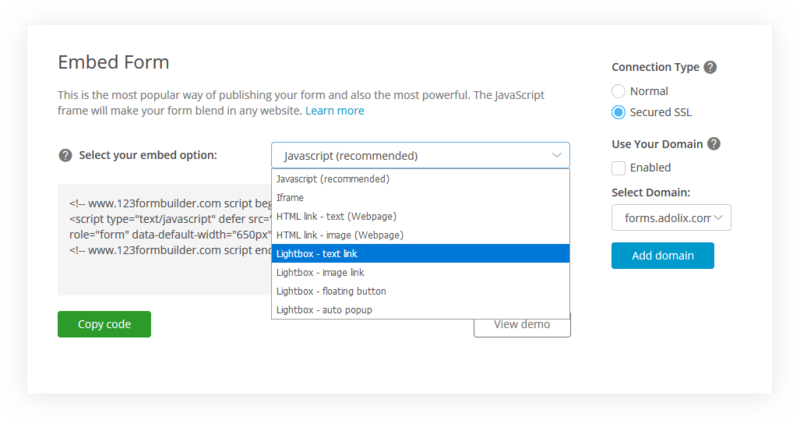 Scroll or type to search for HTML, choose Embed custom code, then click the white box that appears. 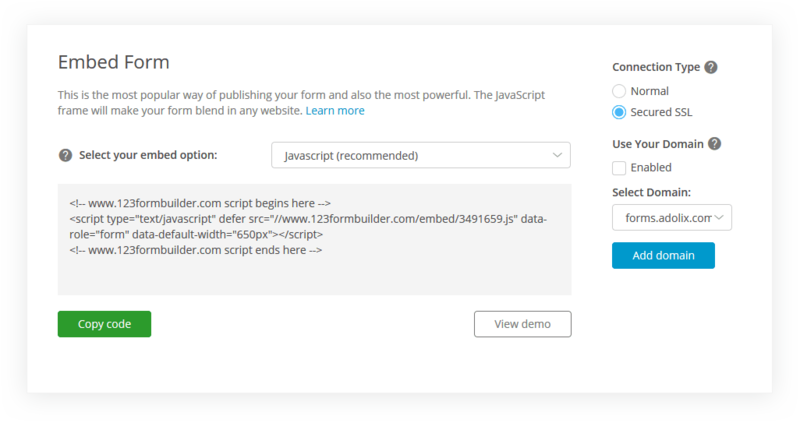 This will add a new HTML section that you can click to customize. Create a title for your form section if you’d like. 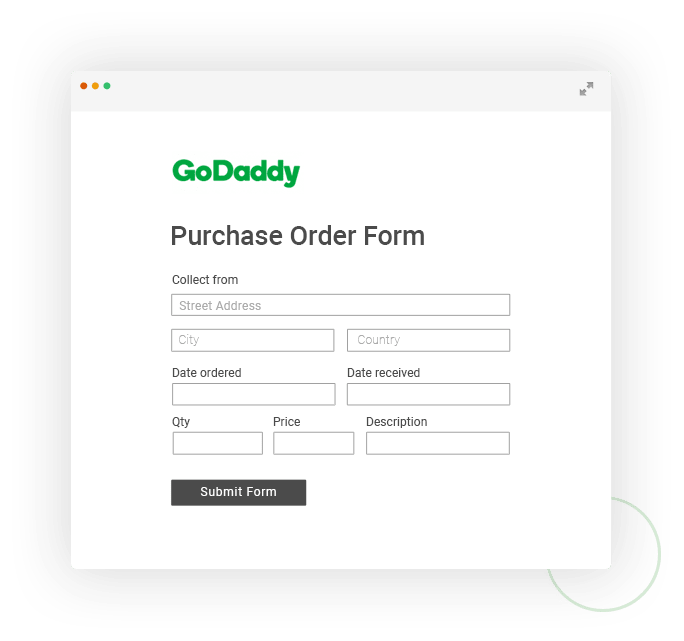 Then, just paste the Embed code from your 123FormBuilder account into the Custom code box you created, and you’ve got an awesome form on your GoDaddy page!